The Oceanis 48 has the qualities of navigation and all the comforts needed to sail the coast of Sicily and also to the Aeolian islands. Situated in Portorosa, Sicily, this Oceanis 48 (5 double cabins), built in 2018 by Beneteau, is capable of hosting up to 12 pax. 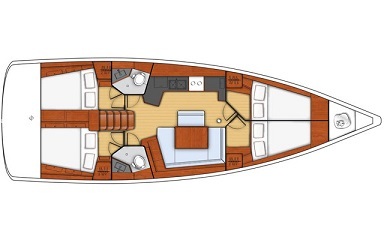 Further more, and for a better bareboat charter experience, Oceanis 48 is equipped with bow thruster, equipped galley and also CD. 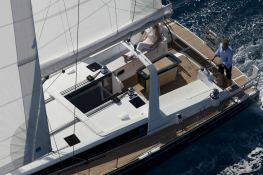 This sailing yacht is available for charter starting from 4 400 € (approximatly 4 962 $).